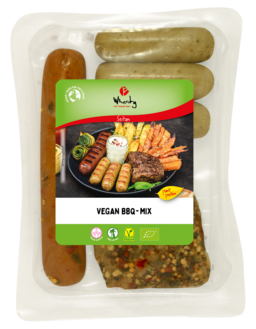 Wheaty BBQ mix brings vegan variety on the grill! 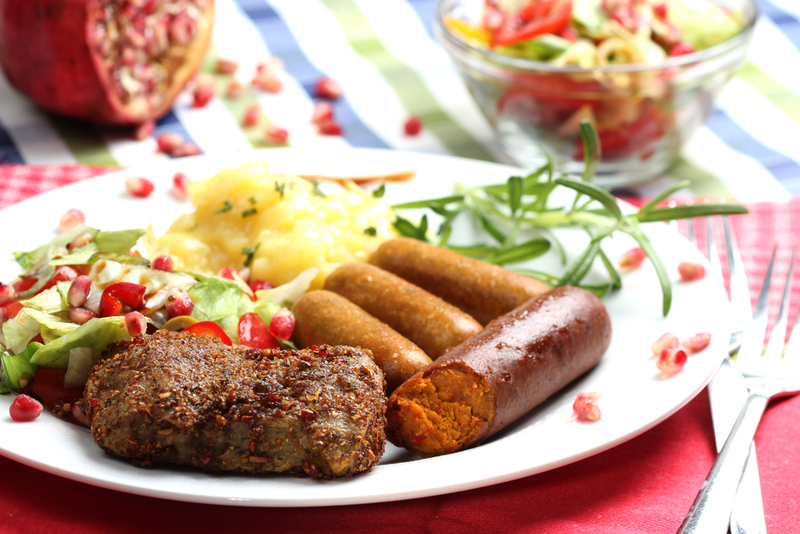 Savoury sausages with a note of marjoram, Spanish-inspired Chorizo with peppers, and the spicy Steak promise a delicious barbecue experience. seitan* (water, WHEAT protein*) 74%, coconut fat*, red bell pepper*, high oleic sunflower oil*, rock salt, yeast extract*, spices* (contains CELERY* and MUSTARD*), onion*, OAT fibre*, WHEAT starch*, potato starch*, thickening agent xanthane* and locust bean gum, smoke**. * = certified organic. **= natural beech wood smoke.